Entrepreneurs are constantly on the prowl for the latest and greatest small business marketing ideas. We are willing to try anything once if it holds promise in selling our products and services, right? But sometimes, during our quest to keep up with the newest fads, we forget to stay on track with the tried-and-true marketing methods that have built the foundation of our companies. 1. A new website can offer a robust jumping point for your newest start-up venture. Using one of the latest platforms, like WordPress and adding some interesting features can be a fast way to attract attention and add to your mailing list. When developing your new site, be sure it’s hosted on a fast server, mobile responsive, and great for lead capture. Having an SEO Consultant help you with your next website could pay dividends. Search engine optimization is not a new marketing idea, but there’s a good chance the algorithms have changed since you last looked into it. Doing a bit of research will reveal just how far behind you really are. Properly optimizing your website ensures people will keep finding your small business when they are looking for your product or service. Optimizing your site’s content to attract search engines is a vital part of a successful on-page SEO plan. Getting quality, external links is another smart strategy to improve your Google ranking. 3. Content marketing is another standard practice for any online marketing plan. But it’s likely that the types of content you’ve been using are just not up to par anymore. If you aren’t providing quality content, then you are not getting the optimal number of visitors or backlinks. Plus, new content vehicles like infographics and podcasts are growing in popularity and relevance. To stay on top of the latest content marketing trends, you must give these methods a try. 4. Take advantage of all social media has to offer. Social media marketing is a relative newcomer to the online marketing plan, but no small business can afford to neglect it. Nearly 90% of young adults make purchasing decisions based on recommendations they find on social media. The stats are a bit lower than that for mature adults, but approximately three-quarters of all American adults are using social media. As you can imagine, the number of potential customers lurking on social media adds up quickly. They are out there looking for your products and services – be sure they can find you! 5. Google PPC (pay-per-click) Advertising is a cost-effective paid marketing tactic that’s worth a try. PPC advertising works just how it sounds: you pay a small fee each time someone clicks on your ad. Google provides useful tools, like their Keyword Planner, to help you design ads that will pinpoint your target customers and give you the best return possible on your modest investment. An effective marketing plan reaches far beyond a good website design. Each of these small business marketing ideas requires a delicate balance – for example, SEO content must attract the search engines but must also be useful and relevant to your human audience. This is part of the reason why a good on-page SEO plan is not a one-time project; rather, it’s an ongoing and ever-evolving aspect of running a small business. 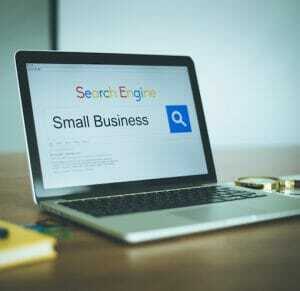 If you need an expert touch to get your small business marketing ideas off the ground, call us at (770) 580-3736 or request a complimentary SEO analysis.